LG Electronics, a pioneer consumer electronics and mobile phones announced that the company is going to launch a new mobile phone incorporating a buttonless touch-screen that resembles the much-hyped Apple iPhone! It’s called Prada Phone. 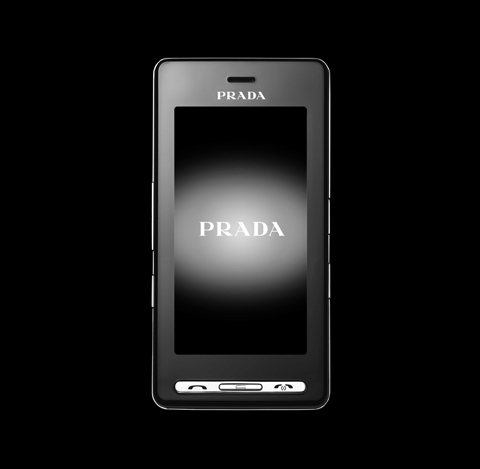 LG’s Prada Phone is being produced in partnership with the Italian fashion brand. It is set to go on sale in late February for 600 Euros at mobile pone dealers and Prada stores in Britain, France, Germany and Italy; then followed by countries in Asia such as Hong Kong, Taiwan, and Singapore from late March, 2007. The first completely touch screen Prada phone by LG (KE850) is a real breakthrough in the industry, as it is a unique, sophisticated and elegant mobile phone with its first complete advanced touch interface. The entire LG KE850 Prada phone resembles the Apple iPhone announced by the US Company earlier this year. LG KE850 Prada phone comes with an extra wide LCD screen that can maximize the visual impact and allowe the user to benefit from several key features of the phone, including the 2 megapixel camera featuring Schneider-Kreuznach lens, video player and document viewer capacity. Above all, these features contribute to the phone’s beautifully sleek and simplistic appearance. The LG phone’s memory can be expanded with cards. It allows internet use through regular wireless WiFi networks, and it has a full-featured web browser. LG KE850 is also ultra slim (just 12 mm). Even though it is small, it hosts an array of additional multimedia functions, including an MP3 player and a music multitasking function for messaging.